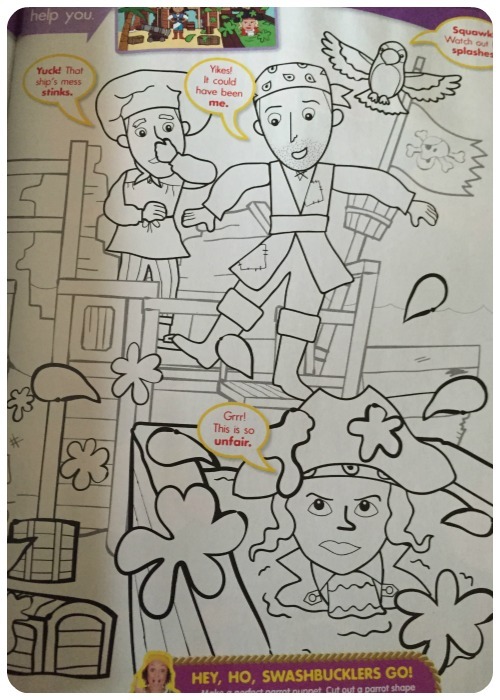 This week the Tiny 3 have been very lucky and have been able to preview the new Swashbuckle Magazine. 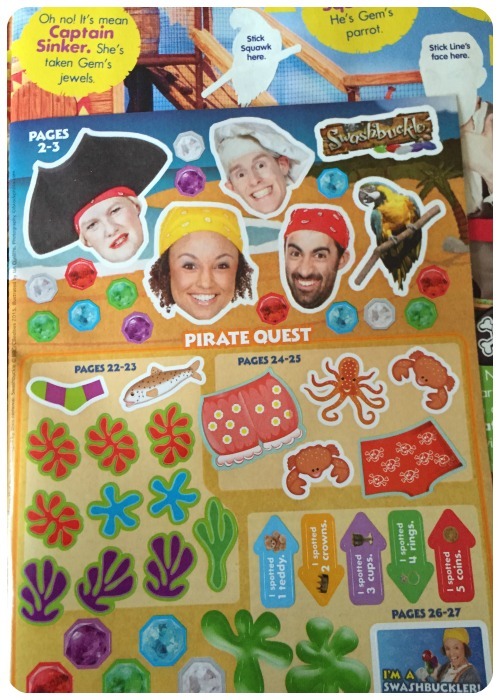 Based on the popular Cbeebies game show Swashbuckle, the magazine is packed full to the brim of pirate fun. Like most other kids magazines on the market you get a toy with each issue, which the tiny 3 go crazy for. 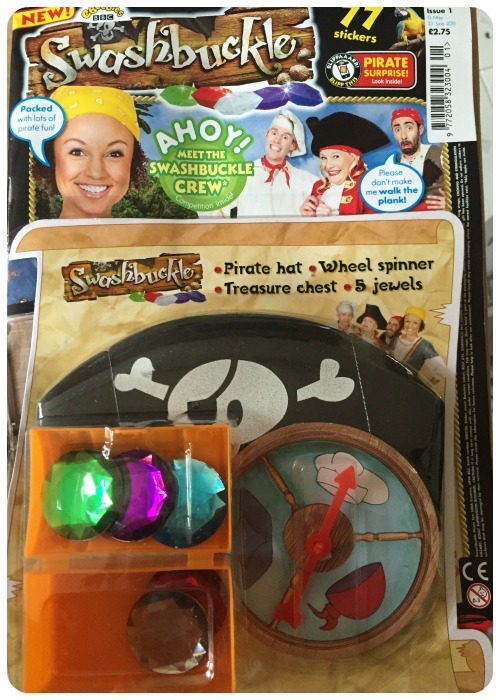 With the 1st issue you receive a pirate treasure set, which consists of A pirate hat, A wheel spinner and a treasure chest with 5 jewels. Inside the magazine you get stickers, stories, games, puzzles, and a poster. All which contain pictures or cartoons of the characters from the cbeebies series. 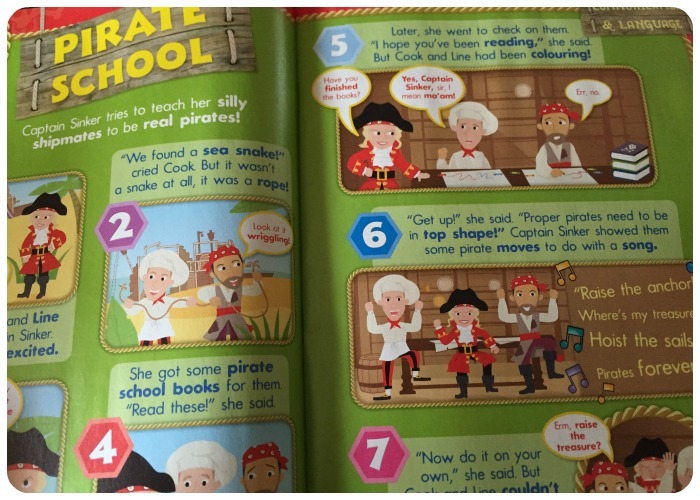 As fans of swashbuckle the tiny 3 really enjoyed reading this magazine and doing the games and puzzles, I enjoyed the fact that they were unaware that they were working towards the national curriculum. The magazine is priced £2.75 and is published monthly. Issue 1 is available in all good newsagents now! Disclosure: We were sent a copy of this magazine F.O.C for the purposes of this review. « What Would You Buy if You Won the Lottery?